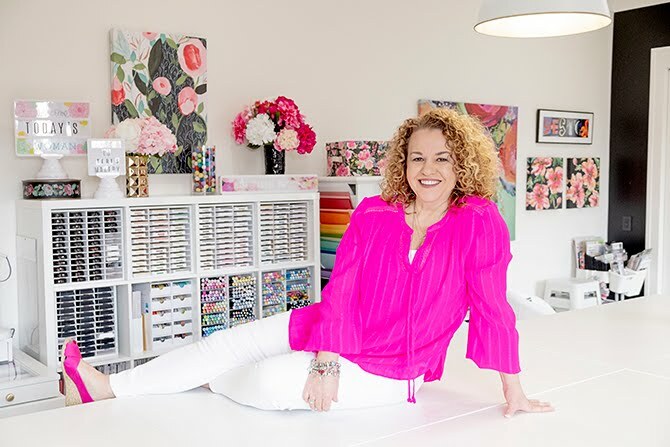 Teri Gutermuth has just created a dream space that even her 10-year-old self would love. Imagine walls decked in giant pink poppies. A work table that could accommodate a dozen of your friends. 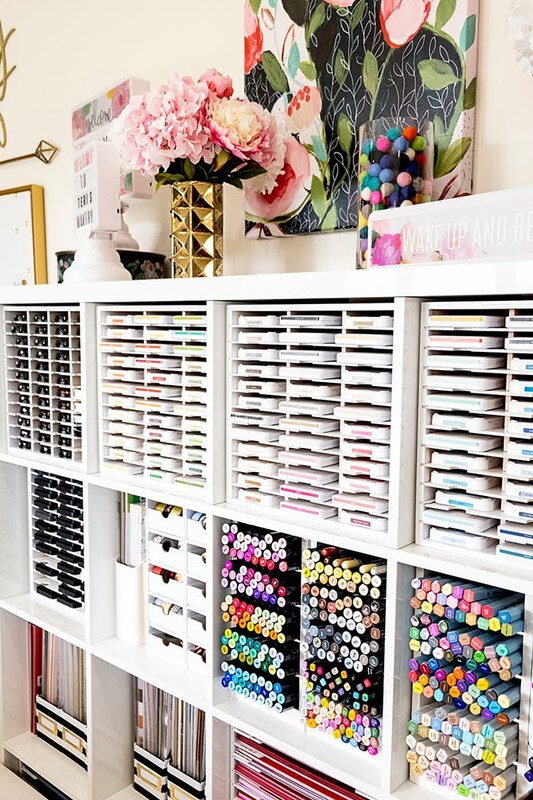 And rows and rows of crafting gadgets, paints, glitter, paper, string, markers, stamp pads, and ink in every color known to woman. It is a crafter’s paradise, and one glimpse of its greatness instantly took me back to my childhood. This is “Teri’s Makery,” and in the chaos of crafting, organization reigns here. 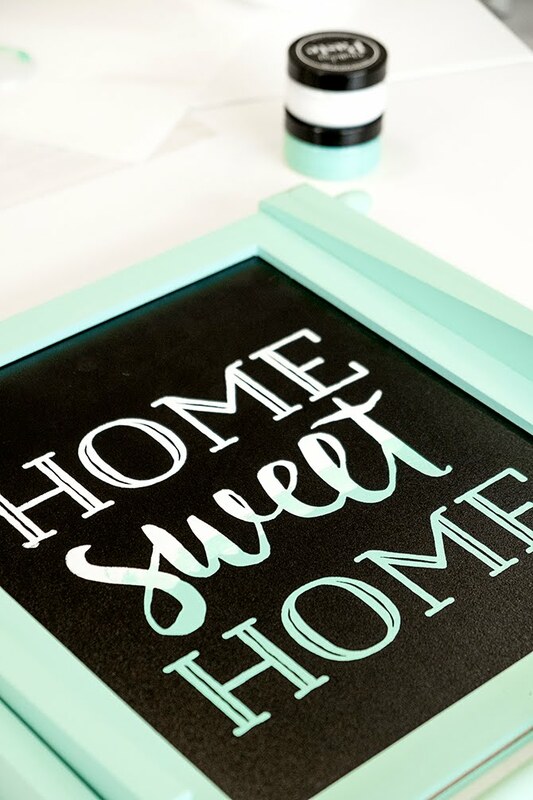 Teri is a professional maker with over 24,000 followers on her two Facebook pages, Cricut Easy Press and Urban Maker. 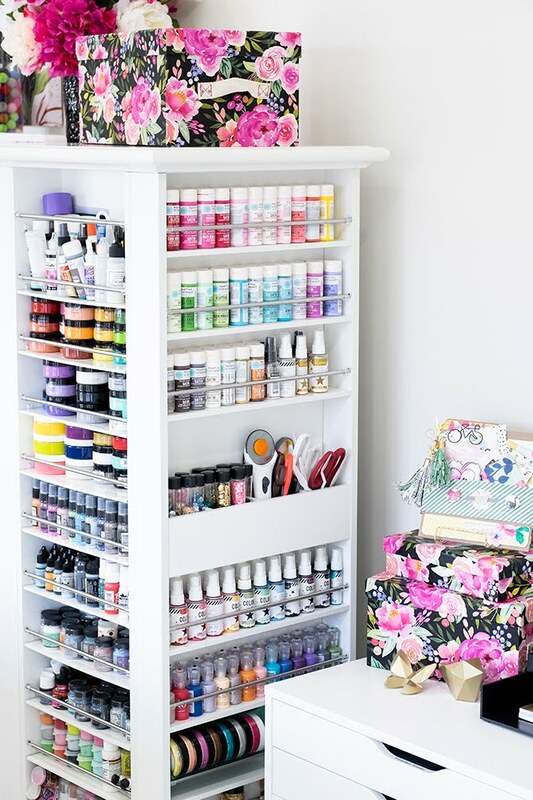 She began this addition to her house last March to contain her plethora of craft supplies that were spilling from her spare bedroom in Floyds Knobs. 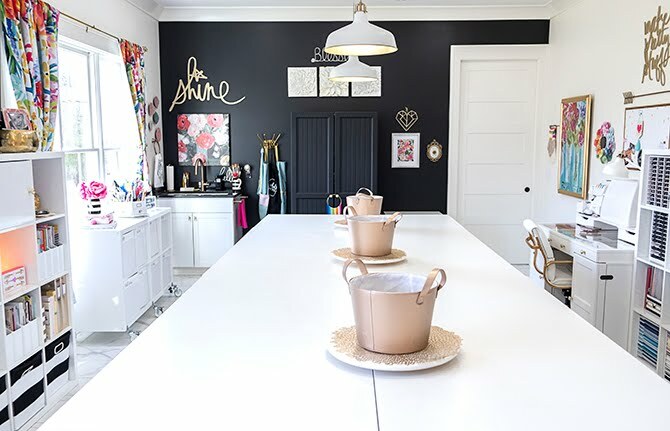 Her brand new craft studio now provides enough space to host crafting classes and artist spotlights, record product reviews and demonstrations for YouTube, hold creative outreach programs for at-risk populations, and house her endless inventory. Teri’s gateway to crafting began 18 years ago after the birth of her son. 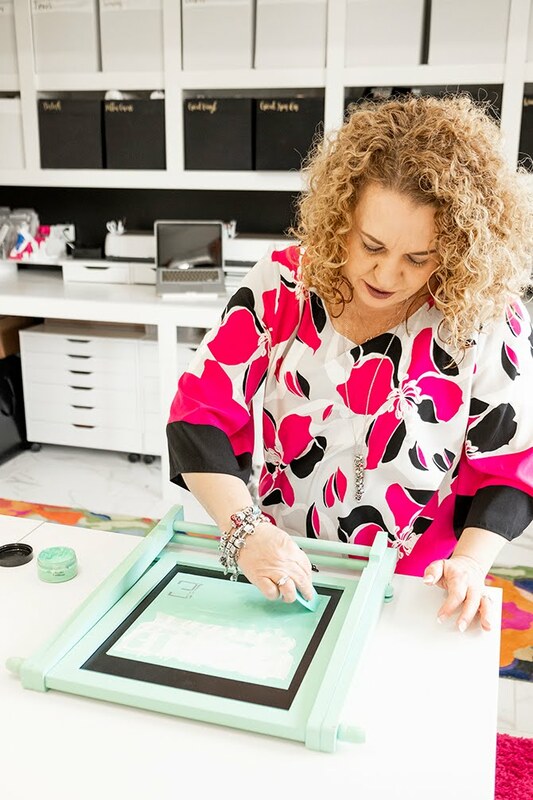 She entered the world of scrapbooking because she was drawn to paper and design. Now, her stockpile of paper and scissors, glue guns and state of the art die-cutting machines, has found a fabulous home in the new addition, alongside a hidden, Star Wars themed home theater system and a new bathroom. The maker’s space, though, is the biggest space in the house and is inspired by her designer’s eye. Everything in Teri’s Makery begins with a white or black base — a blank canvas. She is attracted to the clean lines and contrast of black and white. The walls, cabinets, worktables, ceiling, and porcelain tile floor are stark white, and two black accent walls help create the sharp contrast. Then comes the color. Pink is most definitely her favorite — it parades through the room in the bold floral patterns on the curtains and in the paintings arranged asymmetrically throughout. Gold lettering adorns the rows of black cloth baskets, labeling what lies inside. In here, everything has its place: the supplies, the black, white, and pink, and the glam.